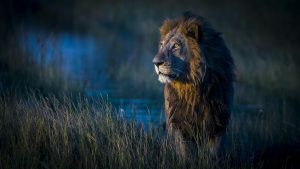 Jan - 02 | By: Chris Fischer | no comments. with a manta ray, or see the frozen tundras of the north? Well, good news, one team is working to make this a new type of reality, and they intend to share these experiences with the world. Based in Salem, Oregon, All Around Productions is taking aim at how we view, and experience our natural world. Using Cutting edge film gear, and a willingness to trek to far off reaches of our globe, this small crew hopes to share visions and experiences like never before. 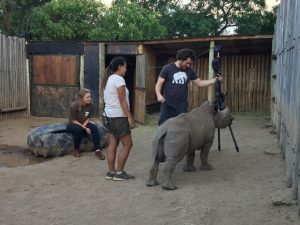 All Around Productions is a 360 Video Production company focusing most of there efforts on a single project, a global Wildlife Mini-Series filmed in immersive 360. Even with the relative infancy of the Virtual Reality Market, this team already has a foothold in the market, acting as one of Getty Images first adopters, working on Immersive Dome content with Vortex Immersion in L.A. and a pro content provider on LittlStar. Wildlife photographer Chris Fischer is on a global odyssey, scouring the farthest reaches of the earth in search of some of the most endangered animals. 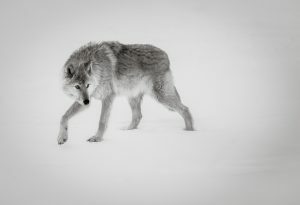 With over 25 years of photography and travel experience, he is your expert guide for an experience of epic proportions. And this is what will set this project apart. For 360 video to truly immersive, the viewer must feel they are along on the adventure, sitting in these remote places and far off corners of the globe, alone with the animals. To accomplish this, film crews on this project are small, often only a few people. Not only does this give a more remote and intimate feeling of nature, but it also allows for more natural and authentic wildlife interactions as there is far less human involvement. Filmed in the highest quality 360 video, this series will bringthe viewer along for the adventure. 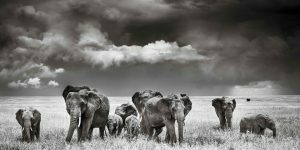 From the jungles of Rwanda to the frozen Arctic, they will showcase the beauty and majesty that exists in all the corners of our world. The All Around Project represents one of the most immersive and visually appealing 360 mini series to date. This isn’t just about creating a mini-series, but changing the way we interact with our world. The boom of virtual reality in the last few years changes the roadmap of how stories are shared. No longer do we simply show someone, instead virtual reality allows the viewer to experience events and places for themselves. This often creates a deeper, more impactful connection with the content. Part of the team’s mission includes highlighting conservation efforts across the globe. Sharing stories allows their viewers to understand and see first hand, how our actions impact our natural world, and what can be done to reverse the problem. Not only are these stories relevant and important in the changing global landscape, but by telling them through a new medium of virtual reality, they hope to breathe life into the efforts to fix them. And this isn’t all about conservation, this team understands the deep rooted educational value of their content and programing, and is actively working to find ways to share this with those for whom it will be most important, the youth. Their aim is to help get copies of their work into schools, youth programs and children’s hospitals, hoping to spark curiosity and a renewed love for the natural world. Throughout the full production schedule, their aim is to work on all seven continents and in over 30 countries to bring this project to life. Although the production of the entire mini-series could take upwards of three years to film, expect to begin seeing short programs released within the first few months of production.